In Western Australia: Yoda, can you help me find my purse? Finding a needle in a haystack is difficult, no doubt, but so is finding something you left behind a Pinnacle. 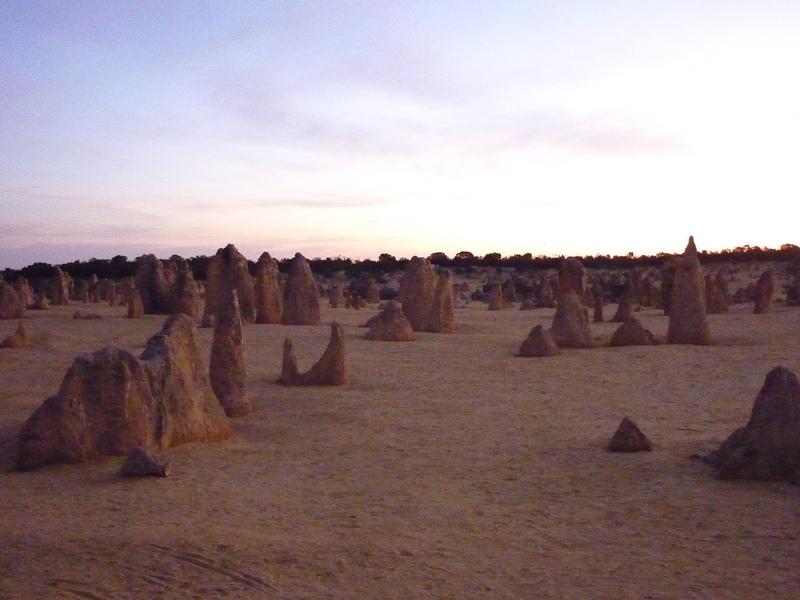 Pinnacles are found in the desert of the Nambung National Park, one of the most incredible places I’ve ever visited. It is located, strangely enough, only 17 kilometers from the coastal town of Cervantes in Western Australia. The Pinnacles Desert is a golden yellow landscape marked by thousands of limestone formations that look like Bugles corn chips sticking out of the sand.